The Hollywood Reporter is citing "reliable industry sources" as saying that Toshiba is on the verge of officially dropping its HD DVD format. Though Toshiba denies that any such decision has been made, the just-published article in The Reporter points to "substantial" losses from each HD DVD player sold and a series of high-profile defections as key motivators for the company, with one unnamed source close to the HD DVD camp telling the Reporter that "an announcement is coming soon... it could be a matter of weeks." 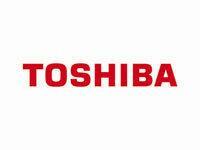 Asked to respond to the report, Toshiba VP Jodi Sally reiterated her company's support of the HD DVD format. "Based on its technological advancements, we continue to believe HD DVD is the best format for consumers, given the value and consistent quality inherent in our player offerings," said Sally. The exec went on to address "the market developments in the past month," saying only that "Toshiba will continue to study the market impact and the value proposition for consumers, particularly in light of our recent price reductions on all HD DVD players."